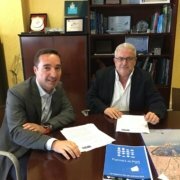 On the 3rd of July, the director of the Escola Eduard Rodés met with Francisco Cuartero, the CEO of Butransa Spain to cement their collaboration in the Forma’t al Port program. 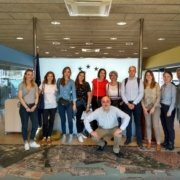 The program, sponsored by the Port of Barcelona, Barcelona-Catalunya Logistics Center, the Provincial Council of Barcelona (Diputació de Barcelona) and the Escola Europea, has completed the first semester of its second triennium (2018-2020). The program, through which the port community approaches students of Transport and Logistics, and International Trade, ended the year 2017 with a record high participation rate. 419 students had had contact with the Port of Barcelona and the business in its community, compared to 2016’s 114 students. The courses organised under the umbrella of Forma’t al Port encourage the incorporation of students into dual training schemes within the businesses of the sector, with the overall goal of helping to prepare a future logistics community that is able to meet the strategic challenges of the Catalan region. Forma’t al Port has taken a break for the summer and will return in the autumn with fresh courses for local high school students. There are two Management courses scheduled in October and November respectively, set to take place both in Barcelona and Genova. Thanks to its brilliant results, the program continues with the goal of helping position Barcelona and Catalonia in the first line of logistics activities in Europe and the world. From the 18th to the 20th of June the second edition of the technical course “Groupage and Consolidation Centres” of the Escola took place in Barcelona. This course edition was designed specifically for operators from a rapidly expanding sector: maritime groupage. 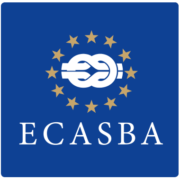 The course offered by the Escola is pioneering and innovative; it combines information on all the casuistry, processes, documentation and legislation that apply to a door-to-door groupage operation. The contents of the lectures vary from the characteristics of a warehouse, equipment and packaging, to import and export procedures, including technologies related to the operations as well as quality specifications. The participants have learned all about how groupage operations work, what actors are involved, what are the tendencies and the segmentation of the sector, as well as what are the key aspects necessary in contracting and managing efficient door-to-door groupage operations. The participants from this course edition came from a diverse list of companies: Mercadona, transport and logistics companies Fercam, Bolloré Spain, Across Logistics, Transglory and Rheneus, and Kadion, as well as representatives from the Escola Europea itself. With the goal of offering up-to-date and real contents, the Escola has once again sought the collaboration of speakers from specialized companies: Ernesto Romeu, president of the Romeu Group; Pablo Auger and Bernat Baruquer, director and head of customs and AEO of IFS International Forwarding respectively; Josep Carles Llagostera, the administrator of Customs of Barcelona; David Farzón, head of the consultancy and training department of Ibercóndor; Silvia Pueyo, general director of Globelink Uniexco; Alfonso Santa Isabel, commercial director of TM2; Jorge Selma, a lawyer specialized in maritime law, land and air transport; and Chelo Otero, commercial and marketing director of Portic. 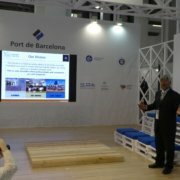 The theoretical presentations were complemented by practical visits to local consolidation centres (ncl and IFS), as well as to one of Port of Barcelona’s container terminals – BEST. Sapientia: Ability to think and act using knowledge, experience, understanding, common sense and perception, in particular in a mature and useful manner. The concept of Sapientia (or Wisdom), in my opinion, is in an accelerated process of evolution. If we understand it as what we expect people to have to be able to think and act, additional skills – or competences – are called for by today’s society’s standards. Knowledge, as we have understood it in my generation, has been surpassed by Google and tools such as Wikipedia. When we want to know something, we directly head to the Internet. This happens for many reasons. The main one I think is that things change very quickly, and if we want to have up-to-date information on a certain topic, the best option is to look for it online. But that also means that what we have learned in our student years hardly serves us at all. More and more we say that knowledge has been trivialized because such net consultations can be done by anyone from anywhere, and thus specific information – which was traditionally associated with knowledge – has a relative value. In the same article Oliver highlighted that the Massachusetts Institute of Technology (MIT) dedicates around 25% of the teaching hours of its programmes to disciplines such as literature, languages, music or history, and points out the resurgence of humanitarian careers in the recent years. Transferring these ideas to the world of training centres, the question we must ask ourselves is whether traditional formats are useful for the present time and how they should evolve to adapt to this new reality. On the one hand, we welcome new generations who were brought up with the PlayStation, marking a tendency to gamify – or turn into a game – training. 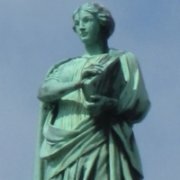 We need to look for techniques that can grasp and maintain attention by controlling time, space, rewards, chance and the development of certain skills. From the combination of online knowledge and gamification, great advances have emerged in the design and development of simulators and virtual realities. We can now perform almost any practice – or experience as an element of wisdom – through simulators that are increasingly similar to reality. One more step towards that experience is to move training into the real world. This is what we do at the Escola, and I believe that if possible, it should still the best teaching option; complementing the theoretical sessions with the use of simulators as preparation. We are left with the big issues that Francisco Ruiz Antón pointed out: teamwork, leadership, conflict resolution … and virtue. These create people capable of doing good things for society. At the inauguration of the Aula dels Estels (Classroom of the Stars) we invited four prestigious speakers to talk about these issues to other teachers of training centers that participate in our training programmes. At the end of our event, several heads of institutes approached the speakers to ask them to go to their centers to talk with the other teachers, as well as with the students. The road ahead is clear. All we need to do is walk it together. Spanish ship owners live a moment of technological transformation and digitalization, dependent on the impact of environmental regulations on their activities. The environmental sustainability of logistics chains has become a key factor for logistics management in all of its business segments. For maritime transport, in particular, during the last months there has been a regulatory avalanche in this regard that has placed sustainability in the foreground. This was seem through the ballast water agreement or the reduction of sulfur content in marine fuels, as well as through the new CO2 reduction targets. Precisely in this context, the sector claims that the rules for the reduction of polluting emissions that will be adopted “should take into account their possible side effects in other areas”, as, according to Aznar, is the case of the short sea shipping traffic, which, in his opinion, “if not given special treatment, it is very likely that the imposition of harsh measures may result in the transfer of charges from the maritime mode to the road, which then would result, in reality, in increasing emissions “. 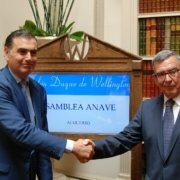 Similarly, the president also insisted on the proposals that Anave has been making year after year to strengthen the competitiveness of vessels navigating under the Spanish flag and that follow the lines marked in this area by the recent experiences of the Madeira registry and of Denmark. Aznar also highlighted that in 2017 the Spanish control merchant fleet increased by four units and by 1.1% in its tonnage, a slight growth that contrasts with the strong increase registered in the first months of 2018, when according to their data, the Spanish shipowners have received two new LNG tankers, a Suezmax tanker and a passenger ship. In addition, 18 orders for eight different shipowners totaling almost 800,000 GT and worth 1,300 million euros remain in the order book for the coming months. In the same sense, Anastasios Papagiannopoulos, president of Bimco who was present at the Anave assembly, stressed the digital transformation and the need to standardize the exchange of documentation at a global level within the framework of a sector that evolves to the future challenges in terms of activity, but whose most prominent risk is that of overcapacity. In this sense, the president of Bimco estimated that the demand for maritime transport of petroleum products will have a better performance in the second half of 2018, without reaching positive figures, while the solid bulk segment already shows clear signs of recovery on the international scene. Finally, at the Anave assembly, the Carus Excellence Award 2018 was presented to Antonio Armas, president and CEO of Naviera Armas, for his contribution to the maritime transport sector of travelers and merchandise. This autumn the Escola’s MOST courses for professionals will return, with two editions scheduled for professionals coming from Italy and the Iberian Peninsula, respectively. The aim of the MOST Management courses is to offer complete and concise training in intermodal maritime logistics, short sea shipping services and the motorways of the sea. The courses aimed at professionals combine lectures, workshops, terminal visits, navigation and networking. The course participants begin the theoretical training in intermodal transport and logistics at the headquarters of the Escola in Barcelona, and then board a Ro-Pax vessel of Grimaldi Lines en-route to Civitavecchia to continue the training along the short sea shipping route. The Port of Barcelona, the Ports of Rome and Grimaldi Lines, three of Escola’s five founding partners, collaborate in the organisation of the upcoming courses in September and October. While MOST Italy will also be sponsored by Alis, RAM Spa, Assoporti, Confitarma and AssArmatori , MOST Iberia is co-sponsored by the Spanish State Ports (Puertos del Estado), the European Shortsea Network, the Spanish Shortsea Promotion Centre and the Portuguese Shortsea Promotion Centre–Intermodal Portugal. The teaching staff will comprise professionals from the European transport sector as well as academic experts. The MOST Italy course will take place between the 29th of September and the 2nd of October. Its contents will focus more on intermodal transport in Italy itself, tailoring the contents for the course participants. MOST Iberia, similarly, will take place 20-23th of October and will emphasize intermodal transport aspects of the Spanish and Portuguese markets. For more information on the Escola’s open courses head to the calendar section of our website. The Escola Europea – Intermodal Transport will once again participate in the International Logistics Salon of Barcelona – the annual logistics fair in Spain. Sharing a stand with one of its main shareholders –the Port of Barcelona­, the Escola will present its training offer for the second semester of 2018 and promote some of its projects; highlighting the growing influence and success of TransLogMED and Forma’t al Port. In the summer months the Escola will hold the second edition of its technical training for professionals, focussed on Groupage operations and Consolidation Centres (18-20 of June). This course will be followed by an edition of Escola’s SURCO Operations I, focusing on rail- maritime intermodality, which will take place in Barcelona between the 2nd and 4th of July. In mid-July it will be the time of the Escola’s first ever Summer School on Port Operations (9-13 of July), a course designed for all kinds of profiles, professional, academic or vocational. 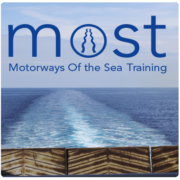 In autumn three editions of the Escola’s unique Motorways of the Sea Training (MOST) course will take place. The first of these, MOST Italy, will take place in September and will focus on the intermodal routes with short sea shipping maritime links in Italy. The second course MOST Iberia will take a closer look at the intermodal transport situation across the Iberian peninsula. The Escola has been complementing its intermodal training package with the local Forma’t al Port project, whose goal is to bring young student closer to the professional ambience of the port communities. For the past three years the Escola has worked with Catalan training centres on professional work experience programmes. The courses have been hugely successful and will now be extended to Italian centres through a sister project Formati al Porto. The other project to be promoted at SIL is TransLogMED. 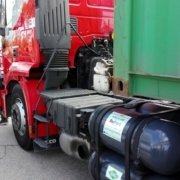 Through the promotion of international cooperation in transport transactions and by providing training in intermodal transport that knows no borders, the project aims to enhance the competencies and capabilities of transport and logistics operators from the Northern and Southern shores of the Mediterranean basin. To find out more, come meet us at SIL at the stand D448 – E557. Alternatively you can write to info@escolaeuropea.eu. 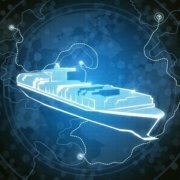 The International Maritime Organization (IMO), the global regulatory body for international shipping, has started exploring how autonomous ships could operate safely, securely and in an environmentally friendly way. As part of its investigation the IMO, which has provided the term Maritime Autonomous Surface Ships (MASS) to autonomous vessels, will look into how the ship operations may be addressed in IMO instruments. The organization’s senior technical body, the Maritime Safety Committee (MSC), has endorsed a framework for a regulatory scoping exercise as work in progress. Its framework includes preliminary definitions of MASS and degrees of autonomy, as well as a methodology for conducting the exercise and a plan of work. For the purpose of the regulatory scoping exercise, MASS is defined as a ship which, to a varying degree, can operate independently of human interaction. However, MASS could be operating at one or more degrees of autonomy for the duration of a single voyage. As a first step, the IMO’s scoping exercise will identify current provisions in an agreed list of IMO instruments and assess how they may or may not be applicable to ships with varying degrees of autonomy and whether they may preclude MASS operations. The MSC, which met for its 99th session on May 16-25, 2018, established a correspondence group on MASS to test the framework of the regulatory scoping exercise agreed at the session and, in particular, the methodology, and report back to its next session, MSC 100 on December 3-7, 2018. Speaking at the opening of the MSC meeting, IMO Secretary-General Kitack Lim highlighted the importance of remaining flexible to accommodate new technologies, and so improve the efficiency of shipping — “while at the same time keeping in mind the role of the human element and the need to maintain safe navigation, further reducing the number of marine casualties and incidents”.